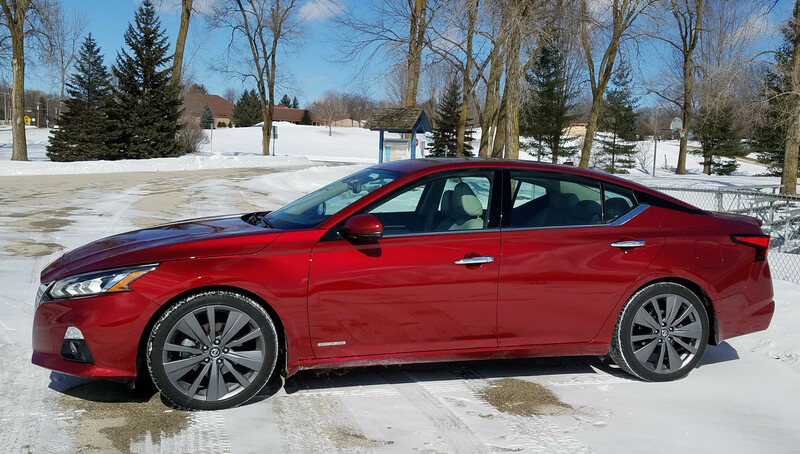 Outside of engines there’s not much difference between Nissan’s Maxima, tested a few weeks back, and the latest version of Nissan’s Altima. GMC redesigns its Terrain crossover for 2018 to make it lighter and a bit smaller, fighting all industry trends to add weight and length. Mostly, it’s a success. Evidently once a smooth operator, always a smooth operator. 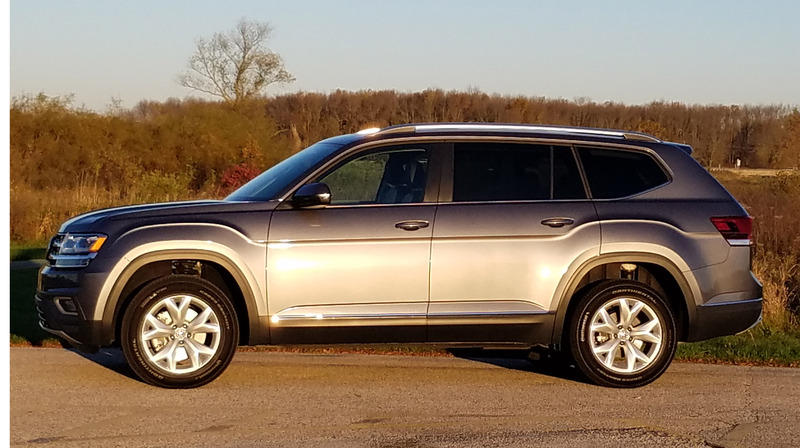 There are no awards for being late to the party, but VW is hoping sales are its consolation prize for finally creating a large SUV, the Atlas. It won’t win any styling awards (can you say big and boxy? ), but it’s certainly stout and a bargain! 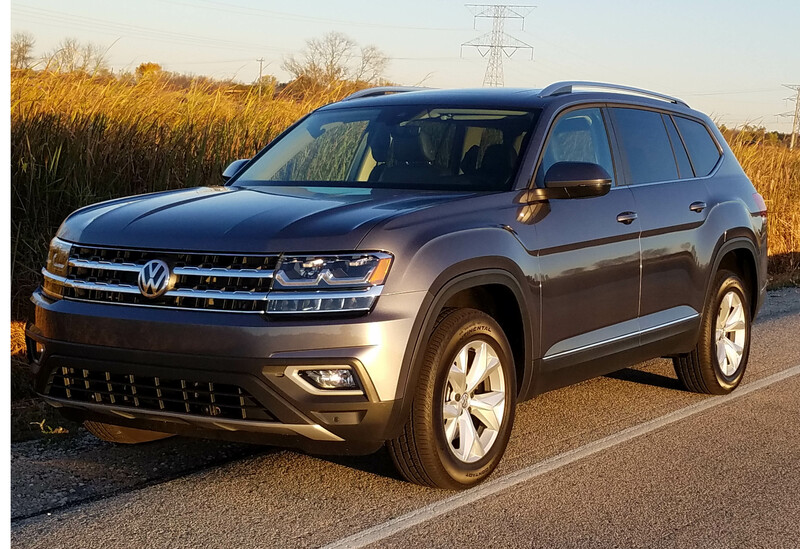 While every major automaker, including the likes of Mercedes-Benz and Porsche, have created a large SUV, it took VW until late this summer to release its Atlas, a 2018 model that is very nearly the same dimensionally as the Dodge Durango I tested a couple weeks back. Both are a pleasure to drive. What the Atlas has going for it is nimble handling, good acceleration and a ride to match, but it’s also modestly priced. How modest? The base S model starts at $31,425 including delivery and touts a 2.0-liter turbocharged I4 that makes 235 horsepower. That’s with front-wheel drive, naturally, but even the tested SEL model with V6 and 4Motion (AWD) was just $42,690. No options were added either and with a $925 delivery fee the dark Platinum Gray Metallic test ute went for $43,615. Dodge’s Durango is an outlier of sorts. 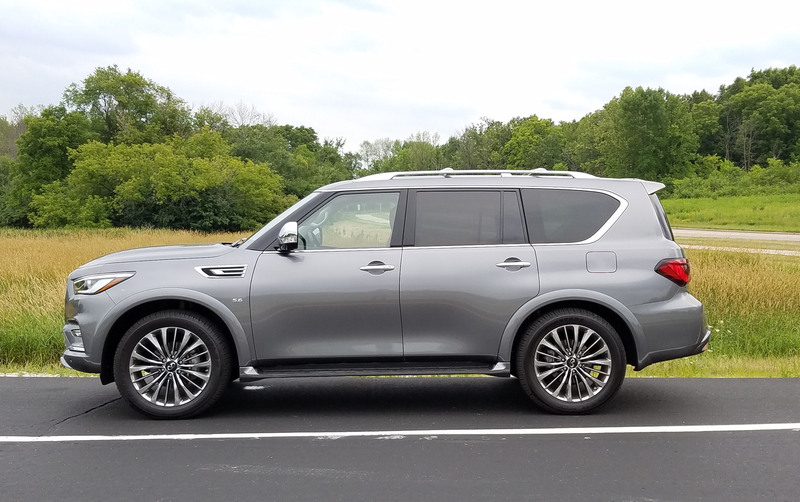 It features function and style while many of the better selling large SUVs maintain a staid look, favoring square exteriors and overly manly interiors with oversized gauges, knobs and air vents. Durango though likes to spiff itself up, like it’s saying it wants to be formal, but likes to party too. 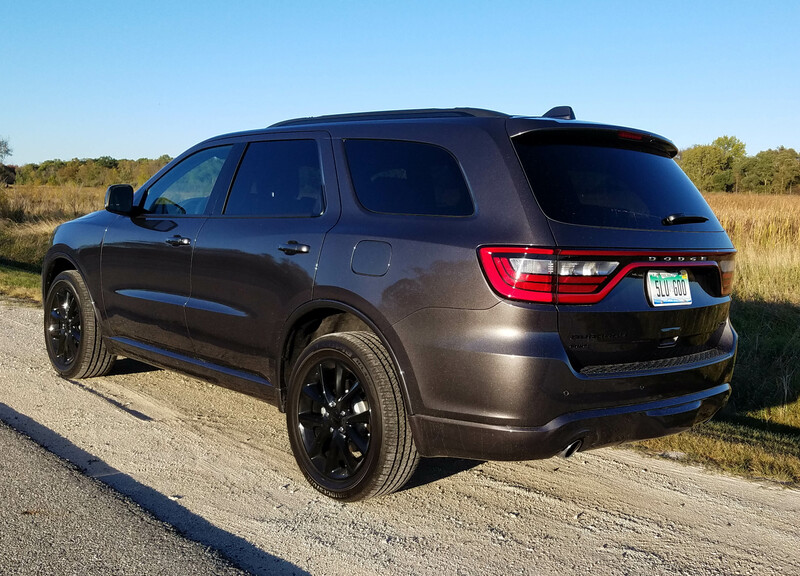 This week’s case in point, the large Durango GT Blacktop AWD. While not as racy, or gas thirsty as the R/T version I tested a couple years back, this one still has plenty of muscle, while maintaining a sporty look, at least as sporty as SUVs go. Under the hood is a 3.6-liter V6 with variable valve timing and boasting 293 horsepower. Torque is rated at 260 lb.-ft. 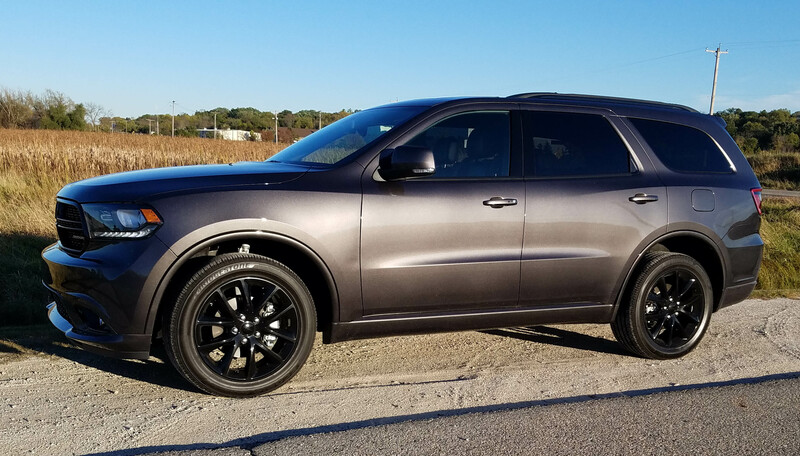 The engine is strong and the Durango, while not nimble, feels substantial and quick enough to outrun traffic as you pull onto the freeway. I had this on a roundtrip to Toledo and it cruised the toll roads with ease and was quick to pull out and pass slow semis and dawdlers. 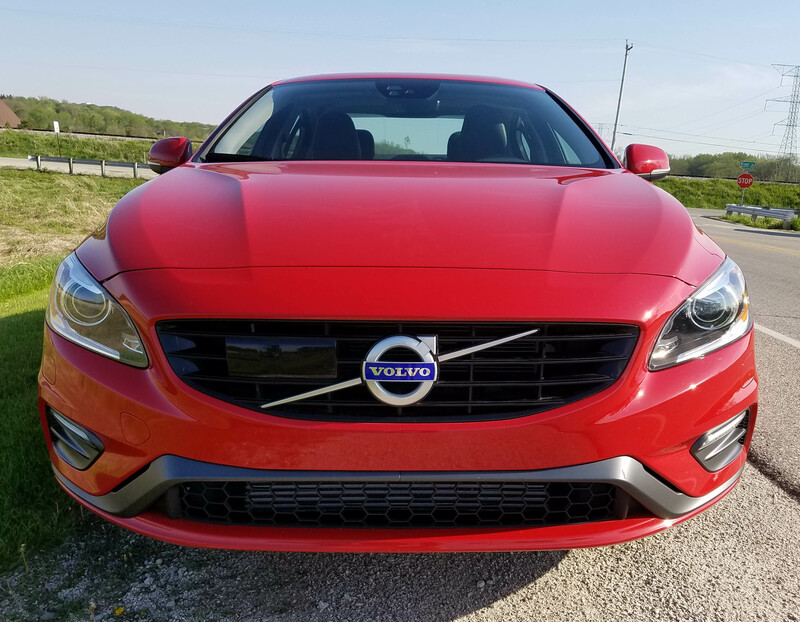 Volvo’s S60 is a fine, but underwhelming, compact, entry-level luxury car. The S60 is nice looking and has all-wheel-drive, which will make it more useful to drivers in northern climes. It performs well, although its ride is rough, yet nothing really stands out. Some will argue that its safety features stand out. That’s what Volvo, now owned by Geely, a Chinese firm, has hung its woolen winter cap on for years. 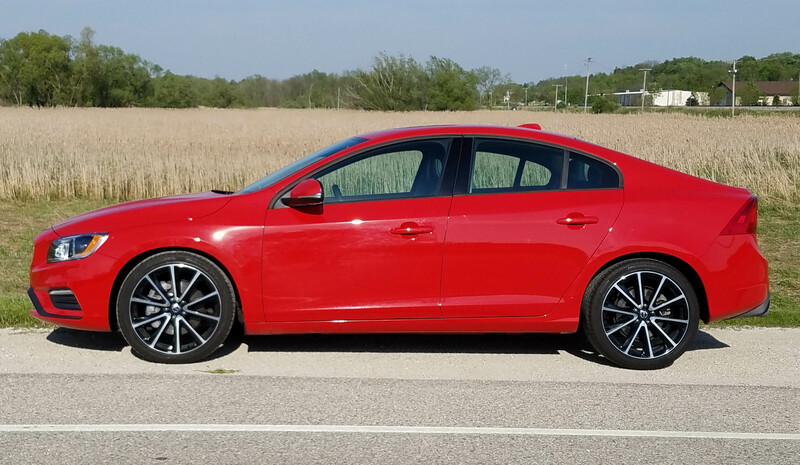 Certainly the S60 T5 AWD Dynamic (quite a mouthful) that I tested had safety equipment, about what you’d expect on any car or crossover costing north of $40 grand. 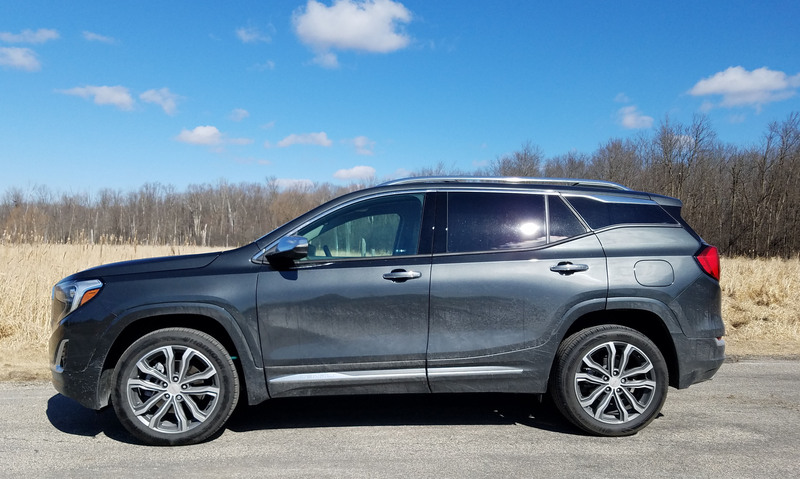 For instance, there’s lane departure warning, adaptive cruise control, collision warning with automatic braking, pedestrian and cyclist detection also with auto braking, plus distance alert. All those are swell, but are not standard. They’re part of an optional $1,500 tech package. 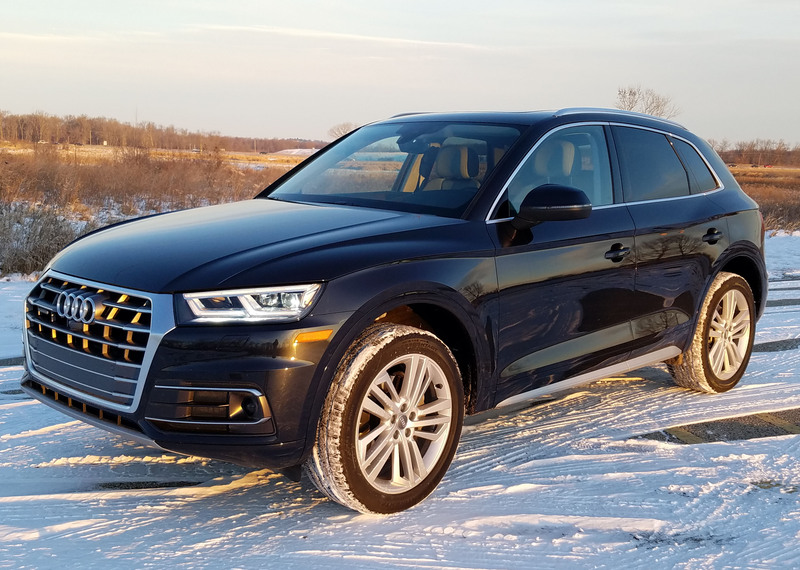 It also adds active high beams, rain-sensing wipers and the ability for the car to read road signs so you’ll always know what speed you should be going. I’m not pooh-poohing these devices, but nearly all car makes have these now.